Extreme Scalper System e is a trading system whose main characteristic is the high frequency of trades in the direction of the trend and fast profit target. Currency pairs: EUR/USD, GBP USD, AUD/USD. Trade in the direction of the Trend if the price is above Buy Zone fibs trade only buy, if the price is below of Sell Zone fibs trade only sell. 3 or 4 green squares of the Forec Guide indicator. 3 or 4 red squares of the Forec Guide indicator. 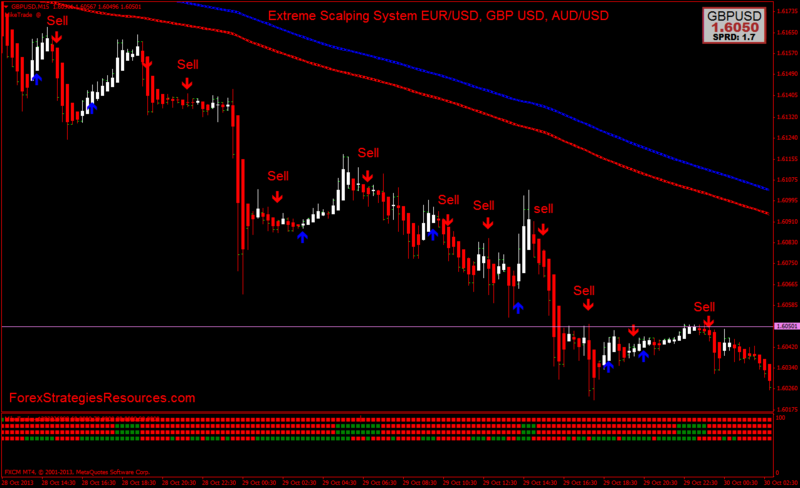 Exit position with fast profit target or at opposite arrow. PT : EUR/USD= 9 pips, AUDUSD= 8 pips, GBP/USD 11 pips. 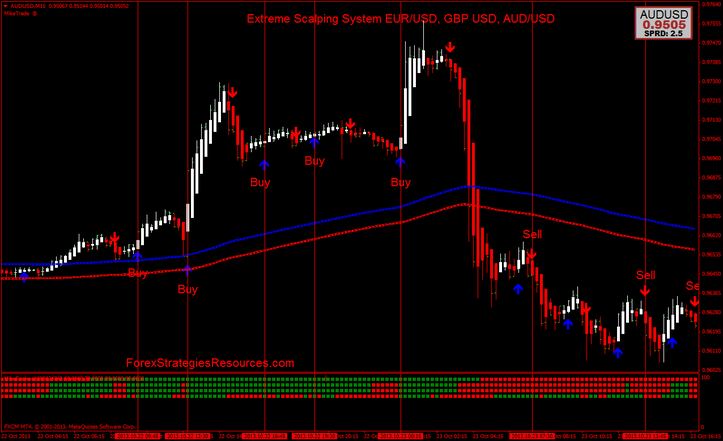 In the picture below Extreme Scalping System EUR/USD, GBP USD, AUD/USD in action.